size of hybrid tulip bulbs. Tulips have an interesting history. They drove the Dutch mad in the 17th century as traders and explorers in far away lands found unusual species. Tulip trading frenzy reached such a pitch that one single bulb of a red flamed variety was sold for 1,000 guilders in 1623. In 1633, another bulb supposedly sold for 5,500 guilders, and in 1637, just before the “tulip crash,” a price of 10,000 guilders was asked for a single bulb. To put that into perspective, 10,000 guilders was enough money in the 1600s to purchase a house in the most fashionable part of Amsterdam, or to clothe an entire family for half a lifetime. Ahhh, the rich…they never change. While most of us appreciate tulips (perhaps not as much as the Renaissance Dutch) we should not forget the beautiful small parents of our modern hybrids. There are many different forms from which to choose, all looking spectacularly different from each other. They range from similar (but smaller) to modern hybrids to the extremely exotic. Some of the more common species tulips are humilis (purple with yellow centre), sylvestris (tall yellow with brown stems), mauritania (white with a mauve/blue centre blotch), praestans (red with a very short stem), turkestanica (creamy with yellow, multiple blooms per stem), and tulipa tarda. 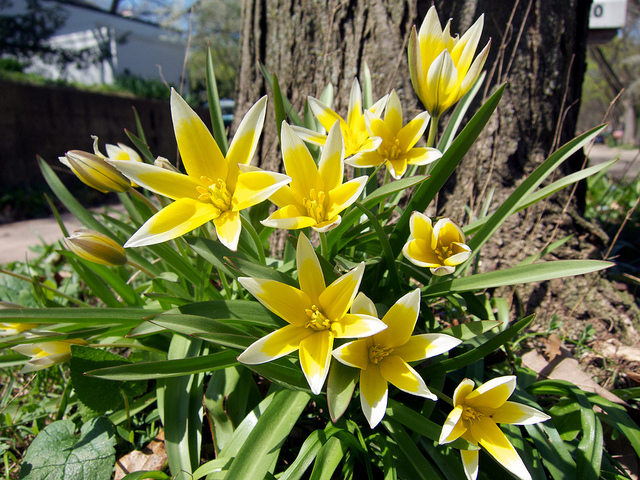 Tulipa tarda is a well mannered addition to your garden and is quite easy to find in garden centres in the Fall. 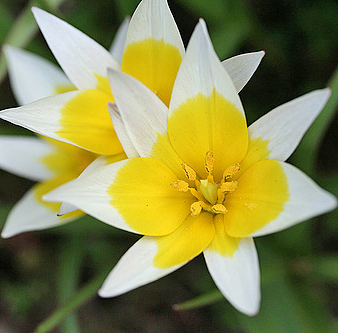 It reaches a height of under 6” (15 cm) and likes to form clumps as the bulbs subdivide by themselves and multiply. This is a common trait of most species tulips if in a happy spot. This is also completely unlike modern tulips which exhaust themselves in a few seasons and have to be replaced. Tarda is hardy between USDA zones 4a to 7b, making it a perfect candidate for temperate climate gardens. Blooming in mid-spring, they do best in sun to a little light shade. They also, as other tulips, like their soil on the slightly acidic to normal pH side. Tulipa tarda has strap-like leaves. The blooms are about 2" (5 cm) across and white with bright yellow at the centre. During the day they open up flat to soak in the rays of the sun. 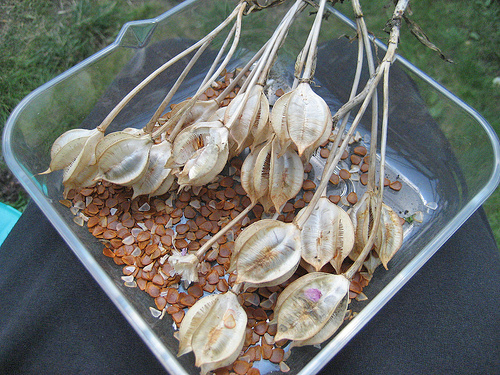 After blooming and going to seed, they graciously disappear to allow summer plants their chance to shine. 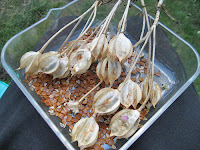 After blooming allow the seed pods to ripen and collect the contents. 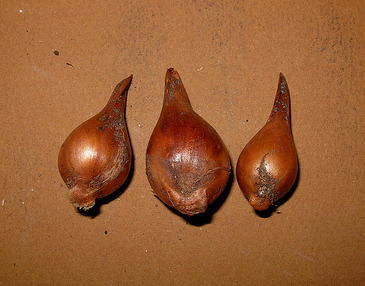 In the Autumn sew the seed indoors, or plant in place outdoors. You have a good chance of increasing your Tardas in doing so. Just remember when you set the new tulips out not to disturb the area. The young plants look somewhat like grass. The new tulips will take a while to reach maturity before joining their bulb planted companions to bloom in pools of sunshine in your garden. If you’re looking for a tulip that is showy, unusual and offers good value for money, seek out Tulipa tarda, or any of the other species tulips. They are the original stars of the springtime garden.